UPDATE: Get a free trial for Windows Azure Websites here. For the purposes of this demo, I created a new website in the Windows Azure portal. Once that site is provisioned, you just need to publish the BasicsExample project to the website. For an example on setting up a new Windows Azure Website and pushing a site up to it, check out this walkthrough I posted a couple weeks ago. The walkthrough uses GIT to push the code to the server, however, since this is a .NET site, you could more easily do it using Web Deploy (look for “Deploy the application to Windows Azure”). With that done, we can get into the iOS stuff now. [!] 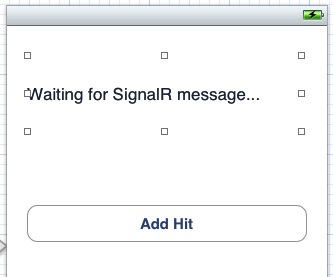 SignalR-ObjC (0.5.2) is not compatible with iOS 4.3. [!] From now on use `projectname.xcworkspace'. -> Integrating `libPods.a' into target `projectname' of Xcode project `projectname.xcodeproj'. And that’s it. Now we have a simple iOS app connecting to a server side hub with SignalR. I completely glazed over discussing any of the internals of how SignalR works, so if you’d like to know more about that, I’d start by reading this article by Scott Hanselman. The guys working on SignalR have some pretty ambitious plans for the technology (think 100k persistent connections when they release 1.0) so its bound to get faster and better at doing what it does. I’m hoping to follow this up with a more advanced sample in the next few weeks. You can download the iOS client source code from this article here. 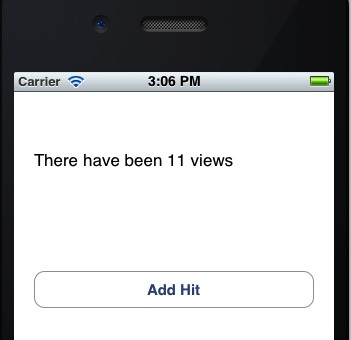 I am curious if this can, in any way, act as a replacement for Push Notifications on iOS. What would it NOT be able to do? Provided the app is running on the device when you send the information, it certainly could replace the need for push notifications. However, when the app is in the background, you wouldn't be able to deliver information to it unless your listener could somehow run in a background thread that wouldn't be killed when your app was backgrounded. At this time, I don't think that's possible (AFAIK). and why do we have to go through all the steps to create libPods ourselves ? Are they compulsory for to be included in every project we create ? The instructions for installing the pod are located near "The iOS Client" header. I believe you would need to either install the pod or manually include the files for each project you create that you want to use it in. Thank you, I run your project and it worked well. But, when I try to do the same with my server (Chat). I would like to know the possible reasons of this failure. Would the app retrieved messages that were sent while it was in background. That is, on reentering, would the missed message be retrieved? These messages would be missed. There is no queuing mechanism in iOS to deliver the messages after the app is reopened. You might be able to catch this on the server / hub side and try to redeliver them later on if they don't get through successfully. I guess I assumed otherwise but your point is valid. I'll try to get this added in if i have a chance. Clients.showHitCount tells the hub to call all of the listening clients and run their showHitCount method.